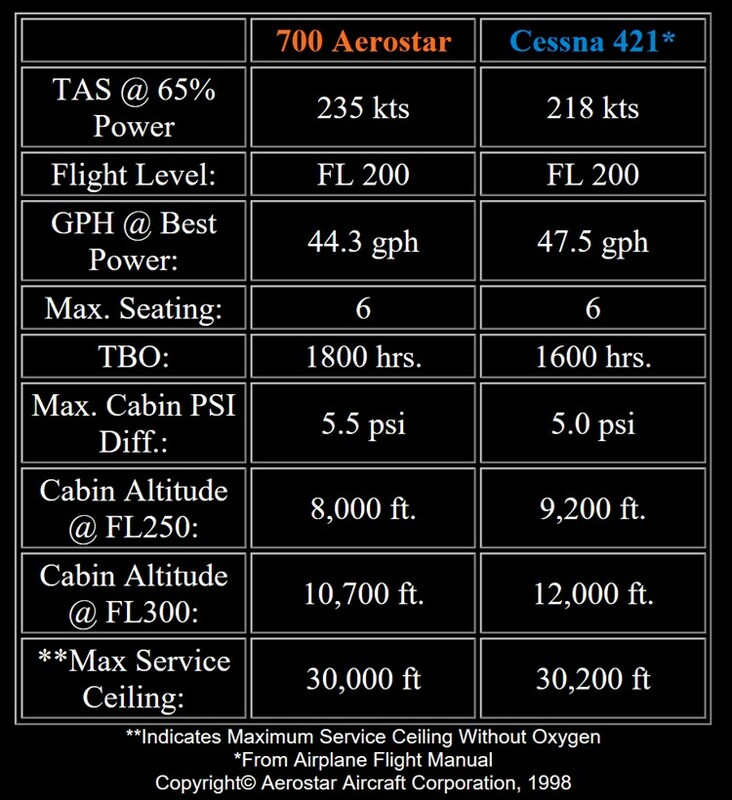 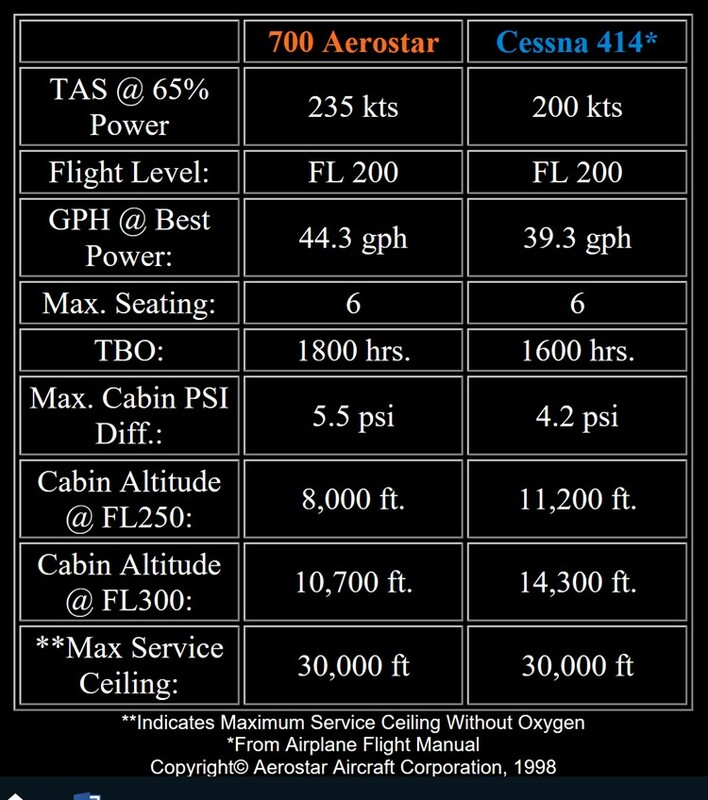 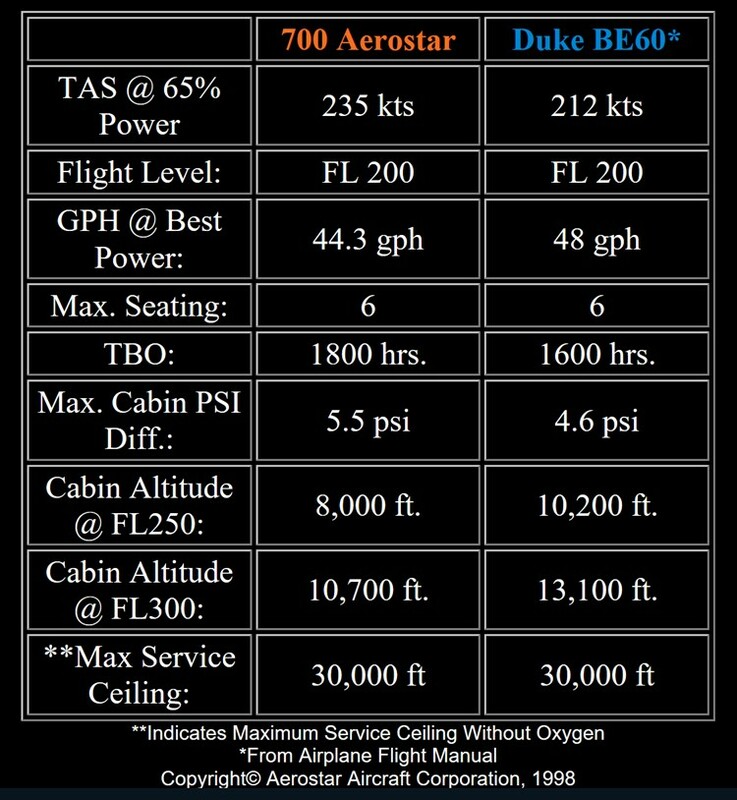 Comparing the 700 Aerostar to conventional aircraft is a bit unfair. 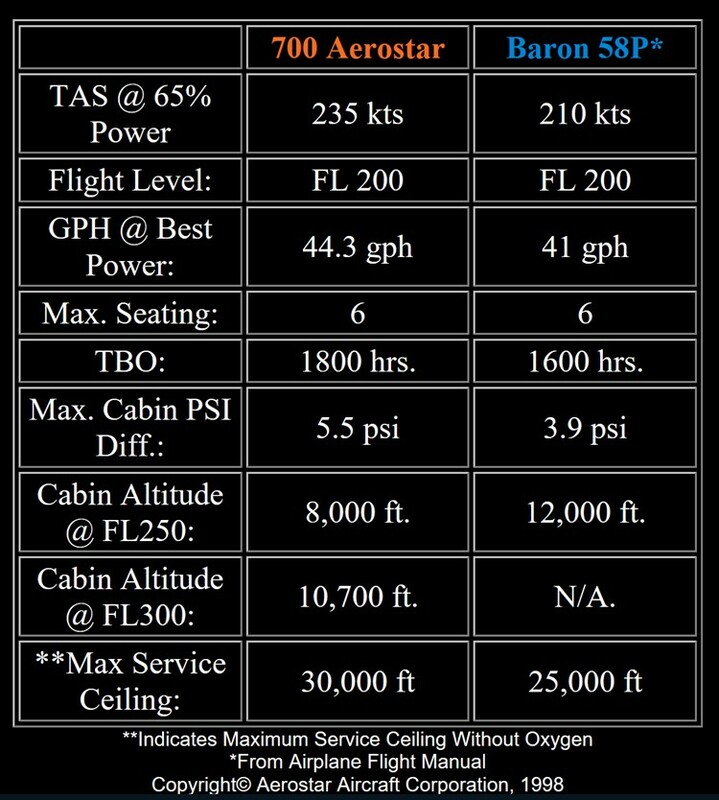 With a normal cruising speed of 250 knots and an incredible 1875 FPM climb rate, no other reciprocating twin can keep up with the 700. 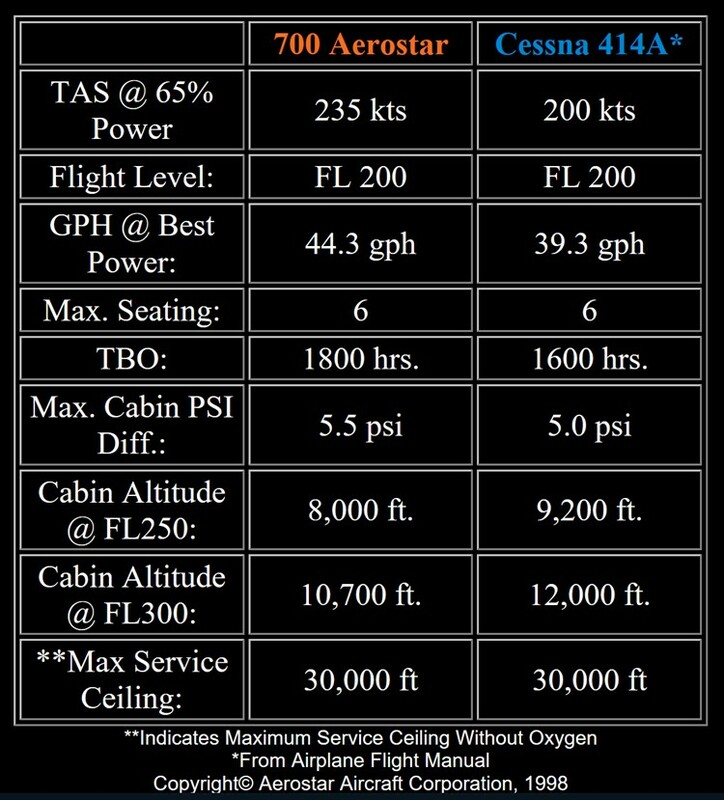 If you’re already operating a reciprocating single or twin, the 700’s turbine-like performance and economical operating costs will definitely surprise you. 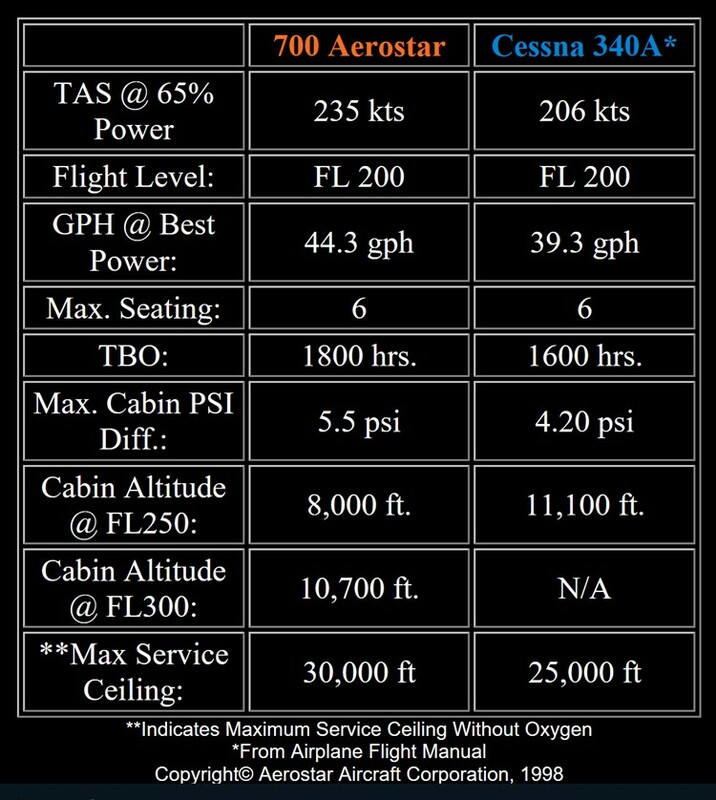 And, if you’re presently maintaining a turboprop, the 700 Aerostar’s comparable performance and reasonable cost figures will be an even bigger surprise. 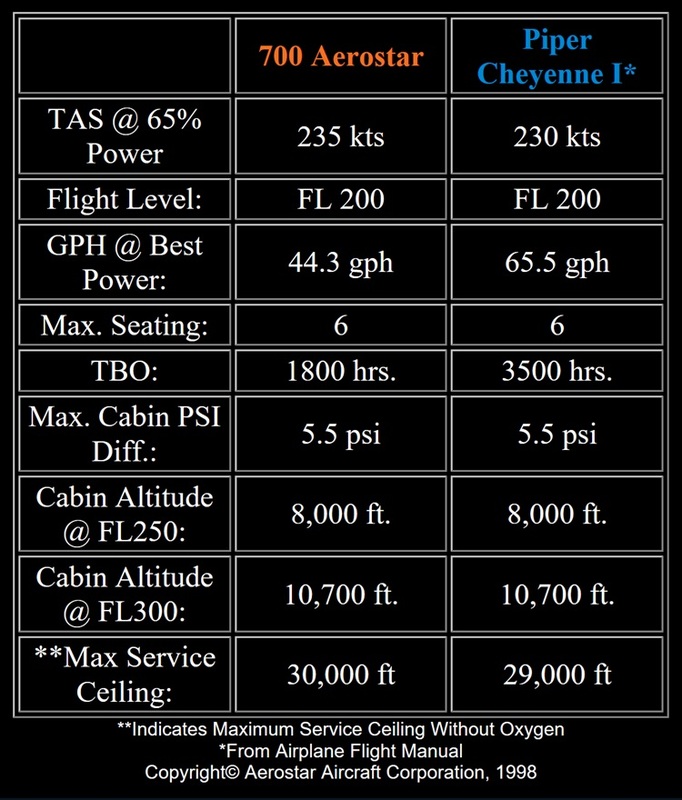 Click on the aircraft models below and see for yourself how the Aerostar compares.